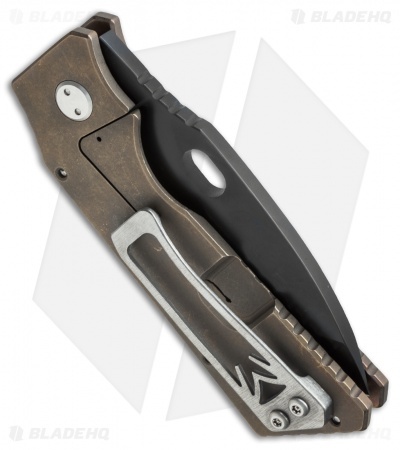 The TFF-1 Big Daddy Tactical Fighting Folder is a tough beast of a knife that is built to tackle fixed blade level tasks. The TFF-1 has a minimum of parts, less to go wrong, and features a simple open-built design for ease of cleaning and quick drying. The handle is made with 3/16" thick titanium slabs. 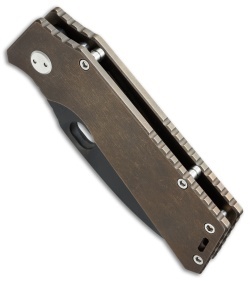 This version of the TFF-1 features a bronze anodized handle and frame, and a black finished blade. Its pocket clip is appropriately sized to carry the load. 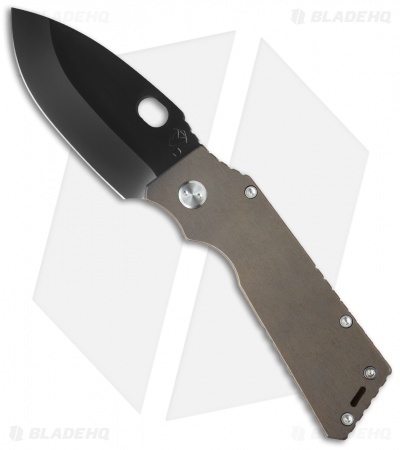 The spear point style blade is made from D2 steel with a hollow grind. The TFF-1 is an ambidextrous one-hand opener and two-hand closer that is up to just about any challenge. Comes with a waterproof case. A big knife with a big Badass Attitude. This knife is built with hard survival and defense applications in mind. It has "Bring it On" oozing from it. Yes its big, but manageable in every aspect, a handful of quality materials and awesome craftsmanship, which is expected from an "American Made" product. This knife will be one of my EDC knives, not matter if I carry it in my pocket, a bag, a pack or on my duty vest, this knife will be with me and I will be depending on it!